The 2017-18 Premier League is in full swing. The two-week international break may have punctuated the flow, but the 20 clubs are now getting ready to resume their action. And so are a number of players who are aiming to win the Premier League Golden Boot. Tottenham Hotspur striker Harry Kane has been the top scorer in England for the past two seasons, but could he be knocked off his perch this term by Manchester United summer signing Romelu Lukaku? What about Manchester City striker Sergio Aguero? We now look at the three main contenders for the Premier League Golden Boot this season. Having won the Golden Boot for the past two seasons, it does not come as a surprise that Tottenham striker Kane is the favourite to win the award this season as well, sitting at 6/4 according to latest Premier League betting odds. The 24-year-old may have failed to find the net in August, but since the beginning of September, the England international has been in brilliant form, having scored six goals in the Premier League this season. Given that the Englishman is the main striker at Spurs and will play as long as he is not injured or tired, there is a very good chance that he could score 25 to 30 goals in the league this campaign. With talented and creative midfielders such as Christian Eriksen and Dele Alli around him, the Tottenham striker is bound to get a lot of chances. Even if the opposition cuts the supply to Kane from midfield, the England international is good enough to create chances for himself. 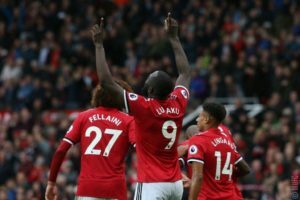 Romelu Lukaku must have been bitterly disappointed to see Kane make a late rally – and a successful one at that – for the Golden Boot last season. Then at Everton, the Belgium international did everything he could to become the top scorer in the Premier League, but he narrowly missed out. Now at Manchester United, the 24-year-old is playing with better and more creative players, and it is only logical to expect him to carry on banging in the goals. Given the start that the former Chelsea striker has made to life at Old Trafford – he has scored seven goals in seven Premier League appearances and three goals in two Champions League matches – only a long-term injury could impede him from winning the Golden Boot this season. Alvaro Morata joined Chelsea from Real Madrid in the summer transfer window and is supposed to be the replacement for Diego Costa. There were questions asked on whether the Spain international striker would be able to hit the ground running, but the 24-year-old has done just that. The former Juventus star has already scored six goals and provide two assists, and that becomes more impressive when one notes that Eden Hazard has hardly feature so far this season due to injury. 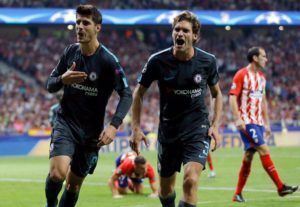 Once the Belgium international attacking midfielder is back to his best, he is going to create chances after chances for Morata, who should score at least 20 goals in the league this season. Honourable Mentions: Sergio Aguero of Manchester City would have been a good shout for the Premier League Golden Boot, but the Argentina international striker has suffered a long-term injury. Alexandre Lacazette could also make a challenge for the award, having scored four goals already for Arsenal in the league.